Handle design: The top of a step-up or step-down voltage converter is equipped with a handle. You can more easily carry the voltage converter. 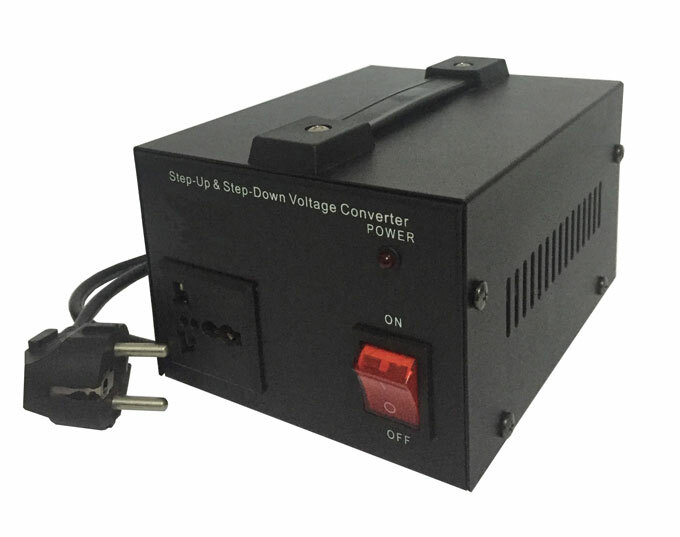 This voltage converter can be applied at home, schools, research institutes, and so on. Power cord: Power cord using three-core copper wire, with higher safety performance, the length is about 0.5 meters, GB 16A 300V. Output socket: Multifunctional socket is expediently to connect electric appliances, which has two-pin or three-pin plug, you don't need to buy another adapter plug. Input power plug: The PC material is imported from Germany, with high temperature resistance and flame retardant performance. It's more secure and reliable, and it's beneficial to protect the children's safety. Rocker switch: The switch is made from high-intensity flame retardant material. Heat dissipation: The step-up and step-down voltage converter has one row of heat radiating groove in both side, effectively reducing the temperature of long time usage, ensuring stable operating. Rubber pad: The bottom of the voltage converter has anti-skid rubber pad, it's beneficial to shock absorption. 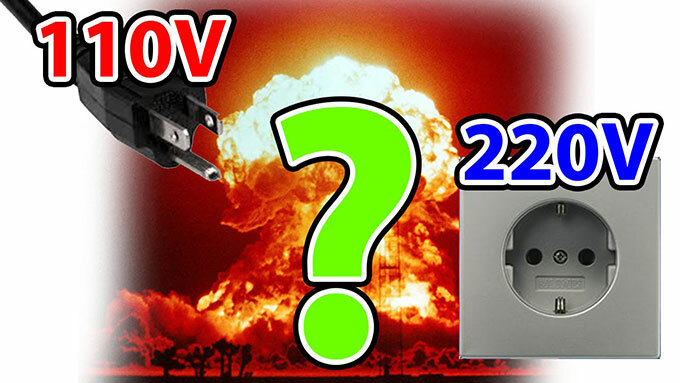 Two mode choices: A step-up or step-down voltage converter can convert voltage from 220V (230V, 240V) to 110V (120V) or from 110V (120V) to 220V (230V, 240V). You can toggle the switch to choose output voltage, 220V or 110V. The two mode choices are appropriate for worldwide electrical appliances. Shell design: Alloy shell, with insulating paint, has flame retardant performance. Overload protection: Built-in fuse and use overload protection switch. Insert the input plug of a step-up or step-down voltage converter into a socket at home. Turn on the power switch of the voltage converter, the power indicator lights up, according to the rated voltage of your electric appliance to toggle the red switch to the corresponding output voltage. Insert the electric appliances plug into the output socket of voltage converter. When you do not use electric appliances, just turn off the power switch of the voltage converter, no need to pull down the converter plug frequently.